SPRING 2019 CONTAINER DUE EARLY MAY. CALL NOW TO RESERVE YOUR LANTERNS AND BASINS! 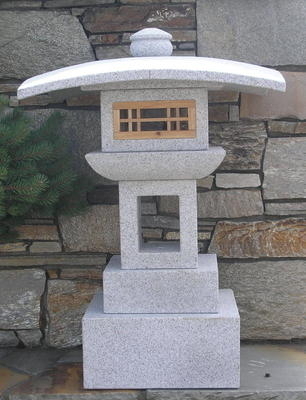 Our line of lanterns, posts and basins in traditional Japanese designs are hand-crafted in solid granite stone. They are available in many styles and sizes and we can ship them anywhere in the US including Alaska and Hawaii. Please inquire on-line about availability and shipping costs.